In order for you to learn this trick, you should already know the basic offstring Finger Grind. If not, you should check that video out. To start this trick, you are going to perform a ring. 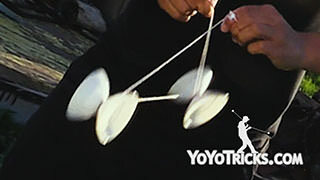 From there, you are going to pop the yoyo out of the string to your pointer finger, to perform a grind. Let the yoyo grind up your arm and towards your elbow. This part looks best if the yoyo mimics a squirrel. 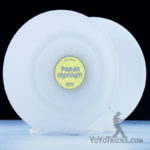 So let the yoyo grind on your finger for a moment, and then let it scurry off down your arm. 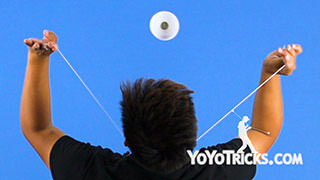 Now, we are going to let the yoyo come off your elbow and whip the string outwards to catch the yoyo. But first, you should practice the grind. By grinding the yoyo up to your arm and catching it back to the ring. 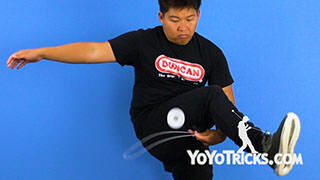 Once you have got this down, let the yoyo grind to your arm until it reaches the end of your elbow. You are going to whip it outwards to catch the yoyo. The trick to landing this whip is all in the timing. 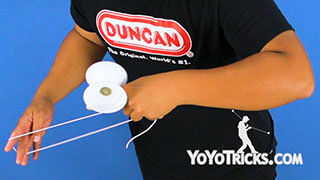 You can not begin to whip until the yoyo leaves your arm. You have to whip it quickly. 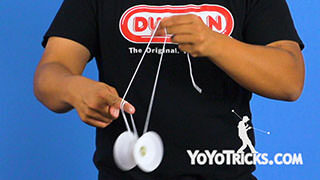 If you landed the yoyo on the string closest to your thumb, you are going to dismount the yoyo by opening the string and hopping the yoyo onto the other side. But if you catch the yoyo on the string closest to your pinky, then you already are in your ring mount. One quick tip for this trick is you want to keep your fingers straight because you do not want the yoyo to fall off. 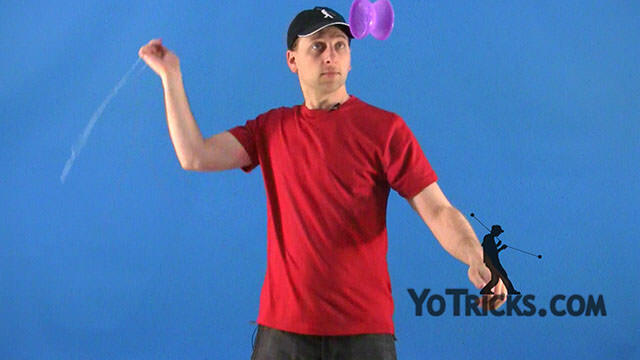 Also, you want your arm on a slight angle, and you do not want your elbows pointing too high, because the yoyo might not reach the end, or it might fall off. And that is how you do the Squirrel. This trick is hard to master, so don’t go nuts! Get it? Nuts? Squirrel? Acorn? Aww, nevermind.